Planning a Trip to Comayagua and Looking for the Best Hotels in Comayagua to Choose? Comayagua has become a popular destination, both for Hondurans and international travelers. Its colonial charm, safe streets, and friendly people are a perfect combination! You will find that there are many hotels in Comayagua that you can choose from. 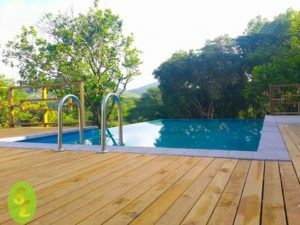 Following, is a list of the best hotels in Comayagua that I am sure will help you find the perfect one for you! This is the only Golf Club in Comayagua. It is a bit outside of town, so not a good place if you do not have your own car and want to explore the city. However if you are looking for a quiet place to relax, play some golf, or do some bird watching, the location is ideal. They have a variety of rooms, as well as a full service restaurant and bar, so you will not need to leave the premises. Rooms are spacious, although a bit rundown. 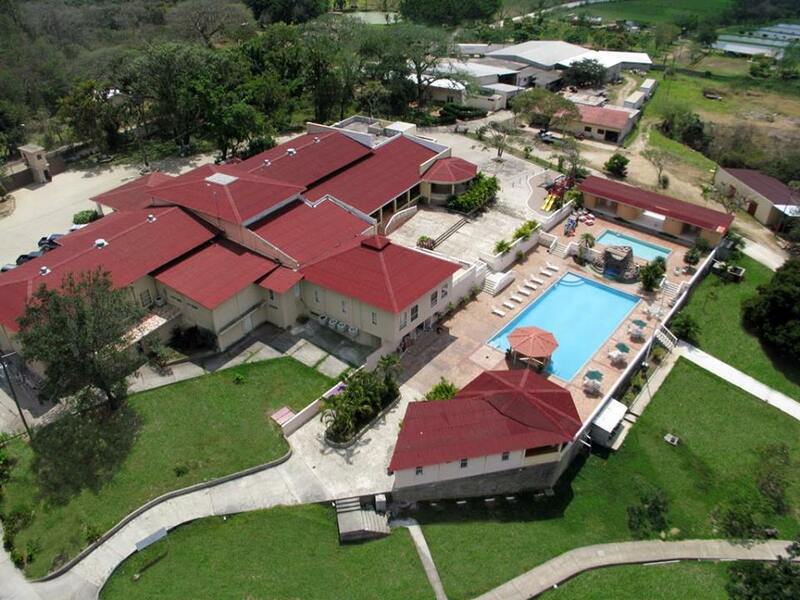 The Comayagua Golf Club also has great meeting facilities and a nice pool. 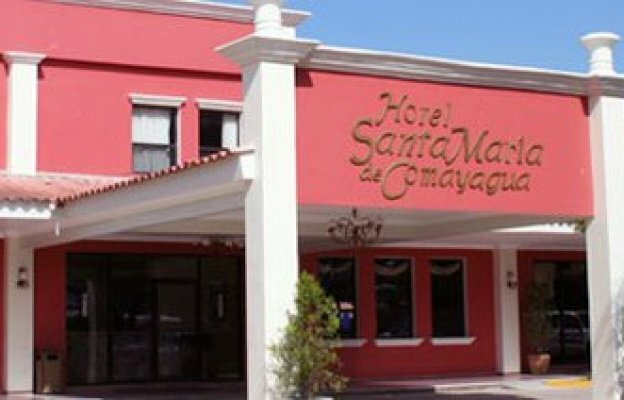 Santa Maria de Comayagua is probably the largest and most complete hotel in town. Its downside is that it is out of town, on the old main road. It is however close enough to easily get around with a cab if necessary. Rooms are spacious and clean, and they have a full service restaurant and a large pool. This hotel is used mostly by corporate staff and contractors that visit the local farms, factories and of course the air force base in Comayagua. A relatively new hotel within the historic center of town. Rooms are spacious and have all the amenities you need in a hotel room. It is within walking distance of the different colonial buildings, as well as restaurants and bars in town. The owners also manage the Villarreal Restaurant and Karaoke bar across the street. (The bar faces the opposite block, so you need not worry about noise at night!) Although the Hotel Caxa Real has an old colonial look to it, it is completely new and just recently opened its doors. Service is friendly and owners are always nearby to help you with your needs. Rooms at the Hotel Campanario are spacious, bright and clean! One of the newer hotels in town, located just next to the shopping mall in Comayagua. They have a great parking area. The building has attractive stone walls and a nice look. The main floor is actually a furniture store, so the hotel occupies the second and third floors. The only drawback is that there are quite a few steps to climb, first to front desk, then on to your room. Staff will help you out with your bags if needed. Rooms are sparkling clean, staff is most friendly, and overall, the hotel is a great value. Breakfast is served on the first floor next to the front desk. 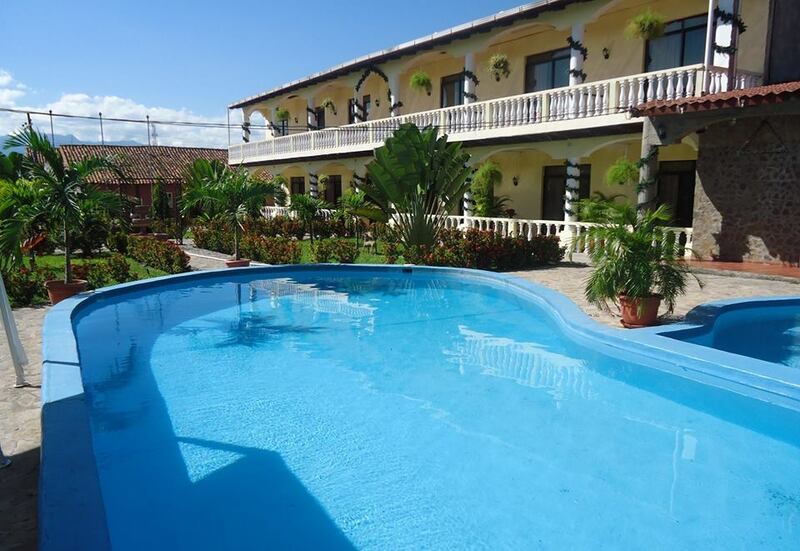 The Hotel Campanario is a great place to stay in Comayagua. 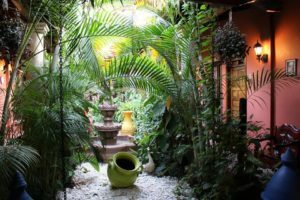 Comayagua’s first boutique bed and breakfast! This is a gem of a little hotel, offering comfort and charm. Each of their rooms is special and unique. They all face a nice interior courtyard. The location is great, within easy walking distance to the different attractions in town. The Hotel Casa Grande is one of the most charming hotels in town! Service is also outstanding. 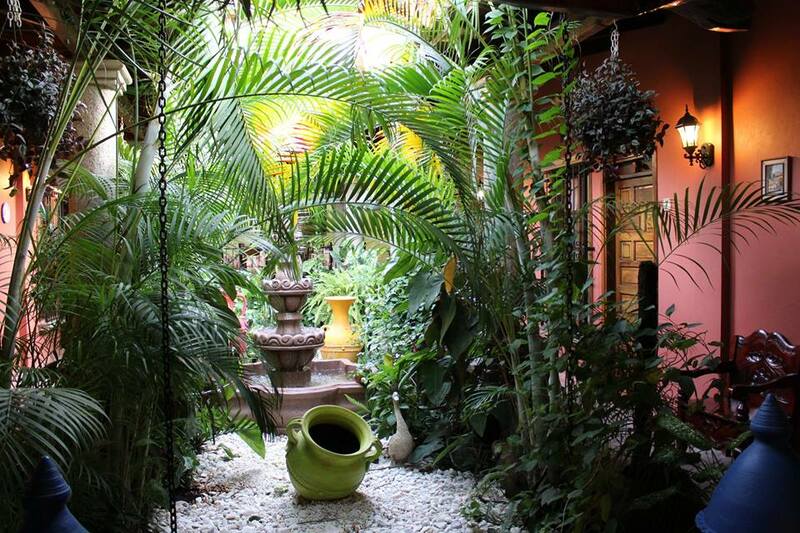 This is one of the most elegant hotels in Comayagua. 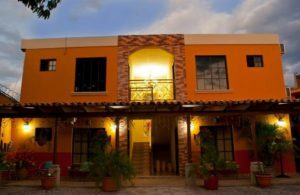 Previously known as the Hotel Villareal, La Carreta is located away from the historic district of Comayagua. They have a total of 10 rooms each with a private bath, and all the amenities you would want, including wifi. They hava a nice pool in the property, and also offer restaurant and bar service. This is a good family hotel if you do not mind being on the outskirts of town. A nice hotel located right downtown. 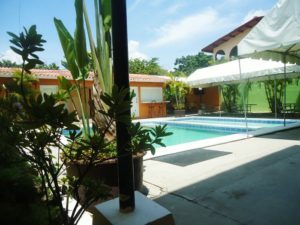 Although modern, the setting is pleasant and offers many details that fit into Colonial Comayagua. 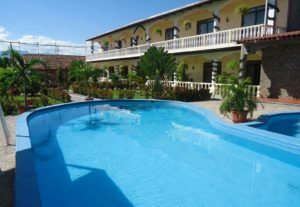 Hotel Antigua Comayagua offers a large pool, pleasant gardens and a restaurant and bar facilities. They also have some meeting rooms that are ideal for small events or groups. 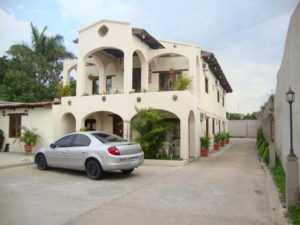 The property is located within walking distance to Central Park and the Zona Viva section of Comayagua. Certainly a good option in town. One of the nicest hotels in town. Modern, but with the charm of yesteryear. La Posada de Mi Viejo is located on the outskirts of town, across the corner from the Iglesia de San Sebastian, a small colonial church where the remains of General Cabanas are buried. The hotel has a nice courtyard with a pool. 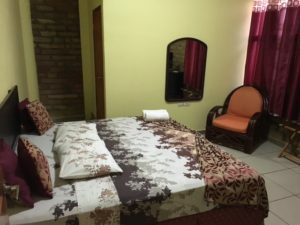 Rooms are clean and service is very friendly. This is one of the most popular hotels in town and fills up early, so make sure you call in advance to make a reservation! 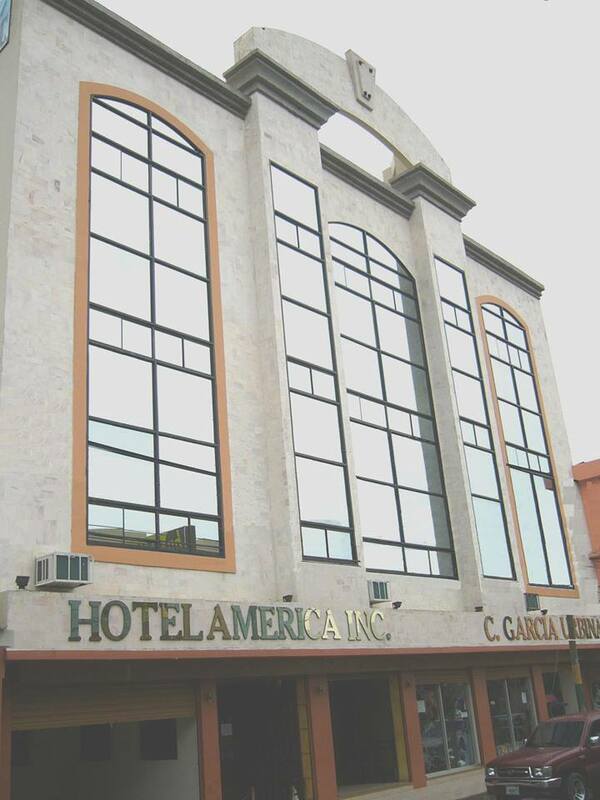 Hotel America Inc is a modern building that in my opinion clashes with the colonial architecture of Comayagua. The location is a few blocks from town in a more commercial part of the city. This area is usually full of cars and pedestrians and much more commercial that touristy. The hotel is Ok, but not my favorite. Prices are good. They cater more to the local Honduran business. The facility consists of a relatively new building and an old remodeled section. Restaurant and meeting rooms are available. 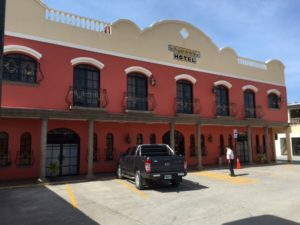 Hotel Morales is one of the largest hotels in Comayagua. Although a bit out of town, it is a great option, offering friendly service, a nice pool area and a variety of rooms with all of the amenities. They also have a restaurant. Although they cater more to local businesspersons, they are a great option for tourists also. Staff is always very friendly and helpful and will provide any local info that you need. Hotel Morales is a always a great alternative in Comayagua. Located on the outskirts of town, facing a nice forested area, this is the perfect spot if you want to see nature and yet be close to downtown. Their infinity pool is unique in Comayagua, and the neighborhood is quiet. Pleasant, well kept gardens surround the property. This Hotel is ideal for families who want some space for the kids, as well as for those trying to combine their trip between visiting museums and colonial buildings and yet have a chance to do some bird watching during sunrise and sunset. 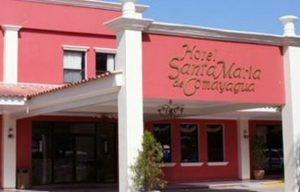 The Hotel Santa Lucia is a nice addition to the diverse hotels in Comayagua. Previously known as the Hotel Quan. 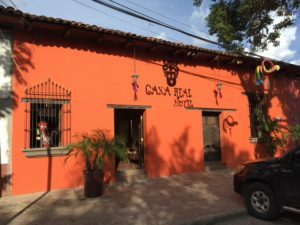 This is one of the oldest hotels in Comayagua. 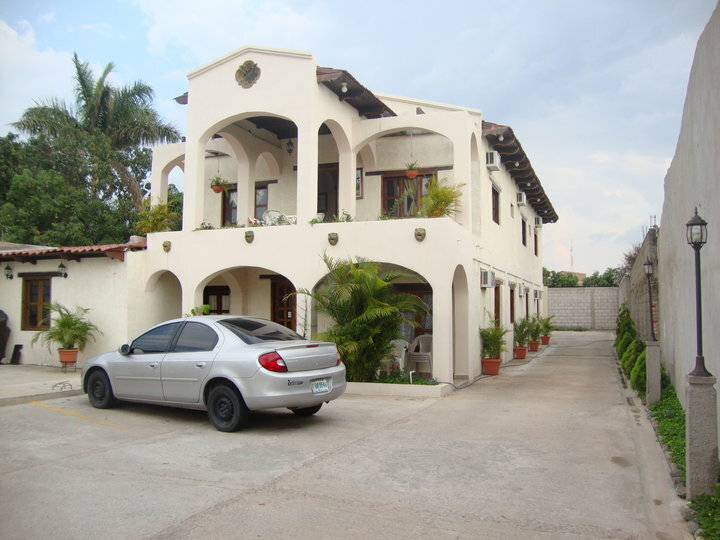 Located close to the Boulevard 4to Centenario and within walking distance from the Comayagua Bus Terminal. Although a bit outside of the historic downtown area, it is still within walking distance. This is really more of a hotel than a hostel, as all rooms have a private bath. However they do have very reasonable prices. A nice small hotel with a total of 11 rooms. 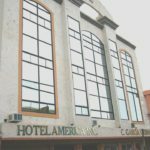 Alameda Colonial Hotel is very safe and facilities are extremely clean. Owners are usually on premises and available to help their guests out with their needs. Although not in the historical district of town, it is relatively near to attractions, restaurants and bars. (Not really within walking distance). Hotel facilities include a restaurant. A lovely boutique hotel with lots of charm. 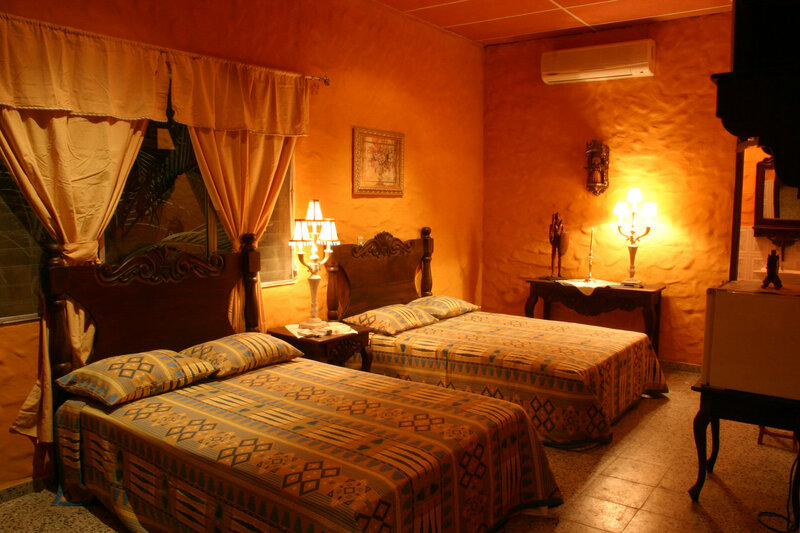 Located within the historic district of Comayagua, this hotel offers a total of 7 rooms. Great taste, friendly hospitality and attention to detail are all present here. Hotel Estancia Sofia is a great place for a quiet stay in the heart of downtown Comayagua. It is within walking distance of all interesting sites, such as museums, colonial churches and parks. Owners are usually on site to make sure that you feel at home! With a great downtown location, only 1 block from Central Park, this hotel is a great affordable spot to stay in. Rooms are small, and the building lacks charm, but it is clean, safe and the price is right! Close to both, the historical monuments and museums, as well as to restaurants and bars in the downtown area. The Hotel Halston is owned by the same family that owns and runs Ricardos Restaurants that is located right next to the Cathedral on Central Park. 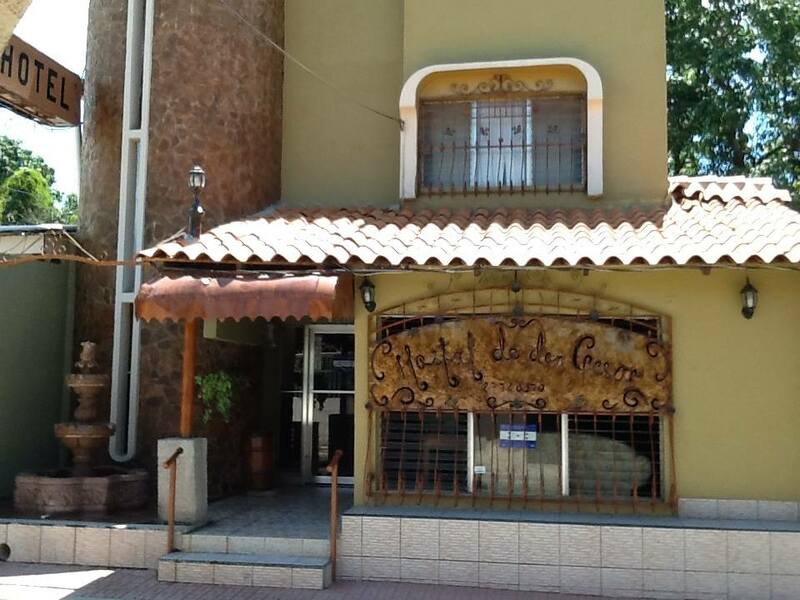 A relatively new hotel that is very close to the local Santa Teresa Hospital in Comayagua. 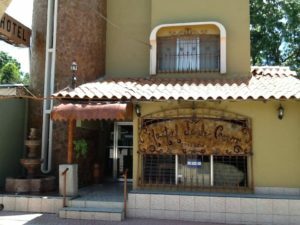 The Hotel Santa Teresa offers great rates and is popular with Honduran business travelers that need a place to spend the night. One of the few drawbacks is that they do not have an elevator, which means getting your bags to the room can be a hassle. They offer clean rooms, private bath with hot water and a restaurant. Internet service is also available. Behind the Texaco El Tucan entrance to Comayagua, this hotel offers affordable rooms with air conditioning, cable TV and hot water. Plenty of parking space. The drawback is that it is not within walking distance to the Historical downtown area of Comayagua. Posada Del Valle offers budget rooms.